How to provide a future for African youth, the issue of street children, challenging the the ubiquity of informal settlements in the largest cities of the region, the role that the informal sector plays in the African economy, and curbing the inequalities in Africa were some of the issues that were discussed. Empowering a generation of young male and female leaders of the region was one of the main focuses of the summit. The open session titled “Gender equality and social inclusion strategies: for a Just Transition of Africa” gathered a large number of local leaders and partners for development from Africa to discuss the crucial importance of mainstreaming gender equality in local development and governance in Africa, and to adopt a pact of collaboration between the African and the European sections of UCLG aiming at developing such activities. 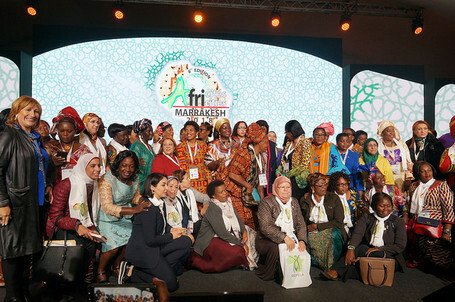 At the end of the session, African and European local elected women adopted the Africa-Europe Marrakech Pact to further collaborate on the elaboration of a charter for local gender equality in Africa. 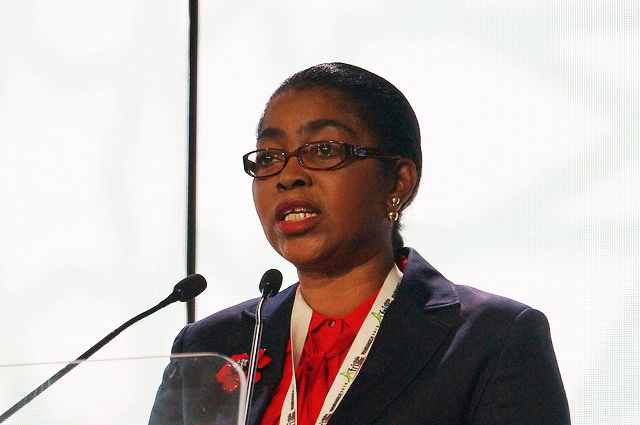 In the framework of Africities, REFELA, the network of elected female mayors of Africa, re-elected Célestine Ketcha Courtés, mayor of Bangangté, as President, elected its Executive Bureau, consisting of 45 elected officials of African cities. “Elected women are only 6% in Africa at the local level, when they are an average of 23% in the rest of the world. We need to focus on the Agenda 2030, and especially SDG 5 on gender equality, in order to fully achieve equal participation and gender equality” Célestine Ketcha Courtés, mayor of Bangangté, president of REFELA. 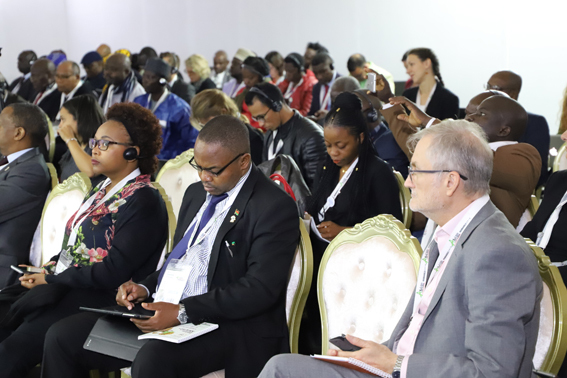 There was an increased understanding by the attendees belonging to governments that the urbanization phenomenon is starting to abandon the rural/urban dichotomy ( which has been the dominant narrative in the continent during the last years). The future will move on towards a multilevel dialogue in which the urban phenomenon is not only the issue of large cities, but of the many intermediary cities which are the hope of a lasting urban development. African cities have built a solid base for the World Organization of cities and local governments. From the global perspective, African cities showcased the idea that the solution to the global challenges will come through innovation and development. We witnessed how local and national governments of the continent tackled the territorial issue, the renewal of local finance, the reinforcement of democratic mechanisms in a specific session dedicated dedicated to the Localization of the Sustainable Development Goals in Africa, which placed the spotlight on a wide range of experiences and strategies that African local and regional governments adopted to promote the integration and implementation of the SDGs at the local and regional levels. The session was chaired by the Mayor of Nguelemendouka, Jean Marie Nguele, who presented the progress made in Cameroon. “Our cities are already developing actions to localize the global goals, but we need to include all relevant stakeholders, including the private sector, into the mix to achieve the SDGs” Tshepiso Solly Msimanga , Executive Mayor of the City of Tshwane. Throughout the Summit, several sessions were specifically dedicated to local finance from different angles: from how to strengthen local authorities' own-source revenue, to how to improve intergovernmental fiscal transfers, and alsa witnessed the launche of the African Cities Development Fund -Fodeva- which was a major step in order to empower the capacity of local governments to access finance. The need for a consolidation of the fiscal potential of local governments, access to transparent and predictable financial transfers by national governments, an enabling institutional environment that allows local to increase their financial autonomy and to have less constrained access to capital markets is essential for local governments to ensure the service provision that their communities need; and the need to gather data and indicators on the state of local governments’ finance was identified as essential in order to monitor their developments and inform the public debate on local finance at national levels in a meaningful way. 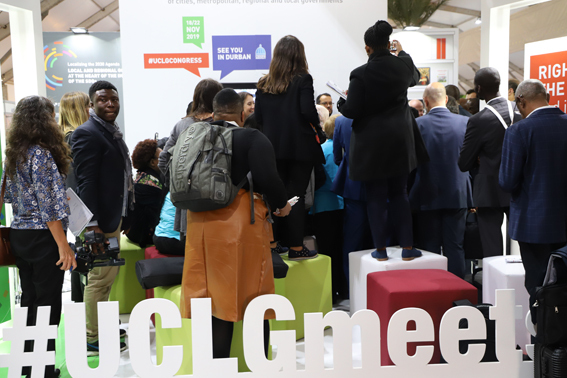 With a full day composed of 2 sessions dedicated to African Intermediate Cities in general, and Morocans in particular, the Intermediary Cities of UCLG have co-organized with their partners a first workshop following the agreement signed in July 2018 between UCLG, UCLG-Africa UN-Habitat, the Ministry of Interior of Morocco and the Ministry of Urbanism and Spatial Planning for a National Strategy of Intermediate Cities in Morocco. 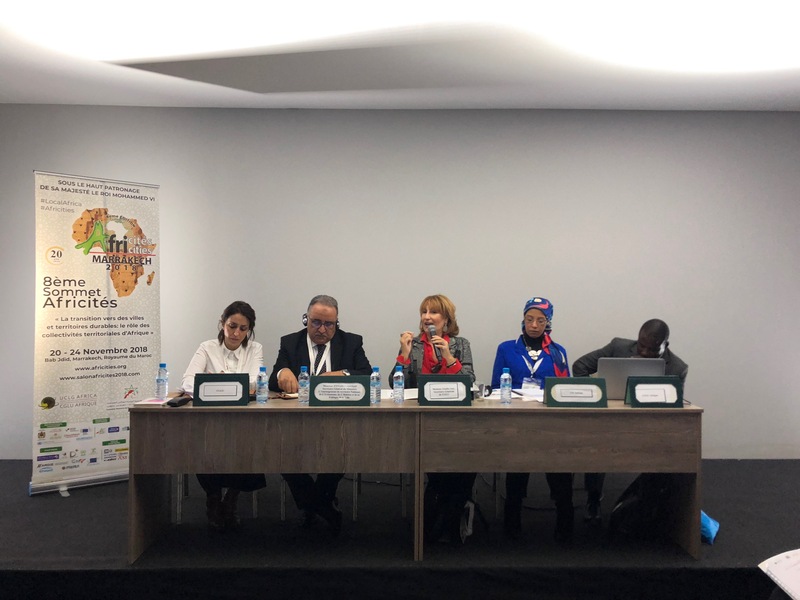 The first session was devoted to a dialogue with the mayors of intermediate cities in Africa, and in particular in Morocco. The second session was organized in collaboration and with the effective support of the Ministry of Urbanism and Territorial Planning: the national components and studies were put into perspective from the international level, with experts and partners of UCLG, as well as with UN-Habitat. At a round table on "Intermediary Cities in Africa", Mohamed Sefiani, Mayor of Chefchaouen and President of the World Forum of Intermediary Cities, called for the strengthening of the role of these cities, particularly in the fields of sustainable development and the challenges of climate change, ensuring that Morocco makes considerable efforts to support this type of cities. The Summit also saw the meeting of the Community of Practice on “Territorial Governance, Food Security and Transition”, created by the Régions de France Association, which is at the heart of the UCLG Forum of Regions, in which 15 elected representatives, mayors, presidents and vice presidents of regions participated. Metropolis, UCLG metropolitan section, officially launched the African Forum of Metropolitan Cities and Regions on the 22nd November, an event that served to seize the challenges that cities and metropolises are facing, and to generate a rich debate around global agendas but also to share our knowledge to meet the challenges of climate change, financing, migrations and quality of life. This meeting gathered the main African political decision makers from 15 member cities, as well as the President of UCLG, Mpho Parks Tau, the Premier of Gauteng, David Makhura, who chairs the Forum, the Secretary General of UCLG, Emilia Saiz as well as the recent elected President of UCLG Africa and Mayor of Libreville, Rose Christiane Ossouka Raponda and the Secretary General of Metropolis, Octavi de la Varga. Migration flows and climate change have been a key issue during Africities, and will be critical for the future of Africa. With the adoption of the Global Compact on Migration just mere weeks away, the session on Migration highlighted the need to take into account the views of local and regional governments in issues that, like migration, are close to their governance, and called for an enhanced representation of the constituency of local and regional governments in both the implementation and the follow-up of the Global Compact. 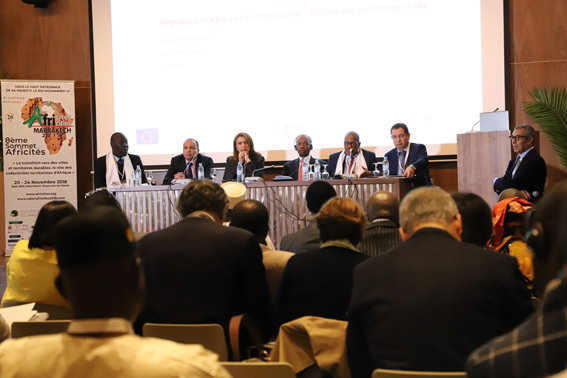 Migration governance will be critical for the future of Africa, as the continent hosts several forms of migration flows as rural to urban, economic, circular or forced displacement, linked to social, political or economic conflict or again the effects of climate change. 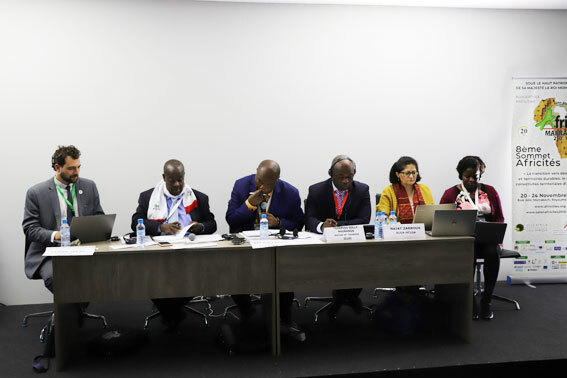 With the adoption of the Global Compact on Migration just mere weeks away, the Afrcities Migration Day allowed local leaders from departure, transit and host territories to highlight their policies and programs to encompass migration and linked it with the local sustainable development. Migration governance is reality managed by Local and Regional institutions. The role assumed by the local administration is multi-dimensional and multi-situational. Local and Regional authorities have an important role to support opportunities creation in the origin, providing to local inhabitants an alternative to migration, but also supporting them in their migratory project, to ensure a sure, ordered and regular mobility. Further, in transit or border territories, the local and regional administration have to manage unplanned pressures on basic services facilities and provision as water or electricity resource, education and healthcare systems and infrastructures, housing park, labor end economic market, etc. Hosting cities also need to adapt their strategies and planning to integrate new comers, both to provide them an enabling framework for their inclusion and to foster their contribution to the local sustainable development. Recalling on the internal dimension of migration in Africa, and on the key role local and regional authorities play in migration governance, the Africities Migration Day called for an enhanced representation of the constituency of local and regional governments in the implementation and the follow-up of the Global Compact for Migration. This should be supported by deeper and more concrete inclusion of local and regional governments in their respective national migration policy. “Local and regional governments have a crucial role in supporting migrants’ inclusion and removing barriers to their contribution to the local fabric. 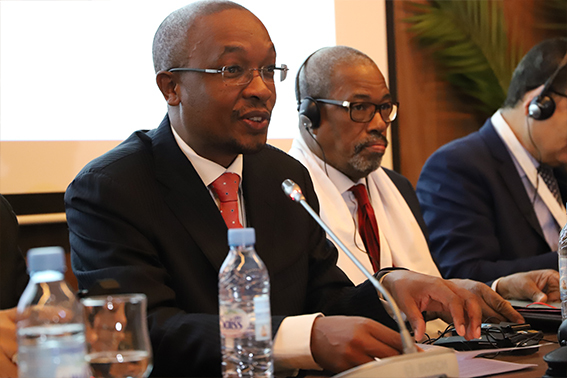 The access to basic services is the starting point, but a strong coordination should be woven between all spheres of administration” Mpho Parks Tau, President of UCLG. This Summit brought perspectives that surpassed the traditional scope of these issues, and aimed at developing a new narrative and new models that take into account both the creativity of the young african population, as well as the cultural heritage of the continent built from its communities. Contemporary changes in the areas of culture and communication were addressed and, in particular, how culture is challenged by these rapid changes. In the session, accelerated urbanisation, speculation, unplanned urban development, limited funding for cultural projects and the secondary place of cultural aspects in global agendas. Two major events marked the last day of the summit,: the tripartite dialogue between mayors, ministers and development partners, a key moment of debate that Jean-Pierre Elong Mbassi, Secretary General of UCLG-Africa, hoped “would be replicated with the same intensity in each of the countries of the continent”; and the launch, by Her Highness Princess Lalla Meryem of Morocco, of the "Pan-African Campaign for African Cities without Street Children". More than 30 million children live on the streets in Africa. 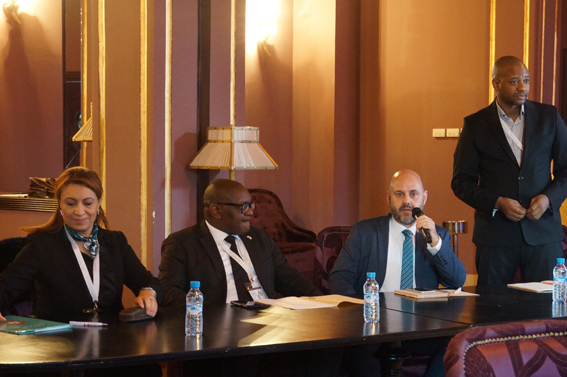 Morocco will set up a first experiment of the campaign in the city of Rabat and will support its deployment throughout Africa. "What matters is not only the world we leave to our children but also the children we leave to this world" Her Highness Princess Lalla Meryem of Morocco. 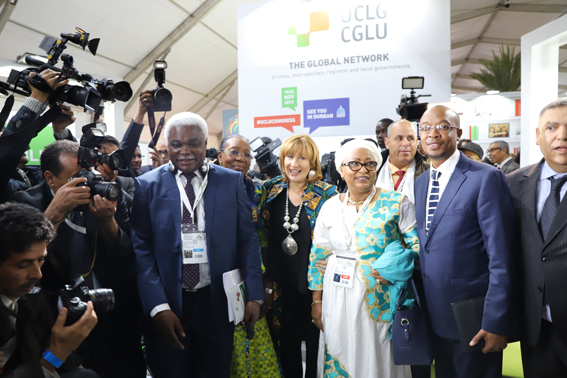 The pavilion of local and regional governments, the "Local4ActionHub", was used during this summit as both a workplace and a space for the fluent exchange of ideas, which ensured both the visibility and the coordination between members and partners of UCLG, giving place to stronger relationships within Africities. As acknowledgment of this fact, we are happy to learn that such a space was awarded with the "Stand with the Best Design" award, together with the city of Marrakech. We will continue working to create places that allow for a real exchange of cooperation among all! See the pictures of highlights in our Flickr gallery. 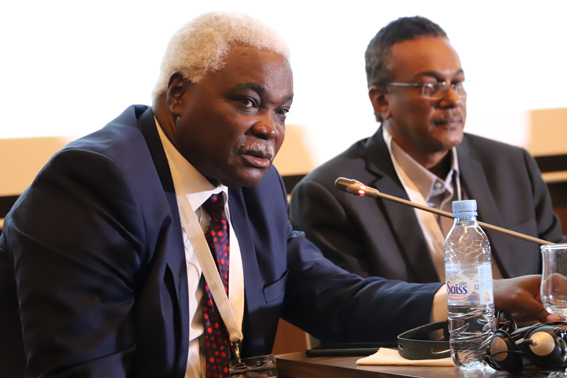 Follow the latest updates: #Africities8 #UCLGMeets.